Discontinuing the use of Selective Availability (SA) will improve the predicted accuracy of GPS for civilian users from within 100 meters to within 20 meters. Kumm, W.: Praxis der GPS-Navigation; Delius Klasing, Bielefeld 2000; ISBN 3-7688-1016-X. 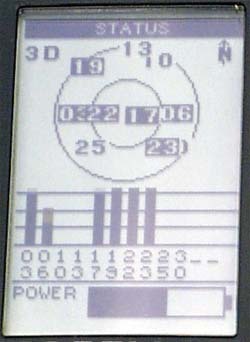 Kumm, W.: GPS Global Positioning System; Klasing, Bielefeld 1994; ISBN 3-87412-143-7. Thaller, G. E.: Satellitennavigation, Das Global Positioning System (GPS); Verlag für Technik und Handwerk; Baden-Baden 1999; ISBN 3-88180-358-0. Hofmann-Wellendorf, B. u.a. : GPS, Theory and Practice; Springer, Wien New York 1997; ISBN 3-211-82839-7.